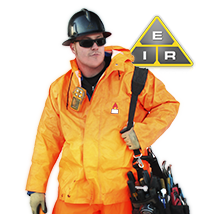 Safety Video Clips: a Great Way to Learn Electrical Safety! Reading about safety or having an instructor talking about safety is one way to learn. But, sometimes it is easier to understand when you actually see these words in action. Safety video clips are not a new idea. They have been around for decades. But, these days they are much more accessible than ever before. All you need is a computer and an Internet connection and you can instantly watch a safety video clip on any topic imaginable. YouTube has made instant video stars out of average people. The people making these videos want to share their talents and expertise with others around the world. You can find videos that cover everything from baking a cake to building to a house. And you will notice, just about every instructional video on the Internet includes a safety tip or two. When someone is teaching you how to bake a cake, you can be sure the instructor will tell you never to take the pan out of the oven without oven mitts. The number one rule when working with hot items is to protect yourself from burns. If you are watching a video clip on how to build a house, more than half of the safety tips won’t be included, because there are just too many. But the instructor will mention how to perform each task safely. If you do plan to build a house or deck or any type of construction, you should seriously think about watching several safety videos first. Some videos are dedicated solely to safety. You will find videos about driving safety, hand tool safety, electrical safety and many more. Many of these safety video clips are created by professional safety trainers, but many are created by people just like you. Someone who has noticed the importance of safety on the job and decided to share his experience with others in the field. People do stupid things all the time. Even though these things are funny after the fact, they are really no laughing matter. Most accidents occur because of stupidity or carelessness. It is fun to laugh at other people’s mistakes, just make sure you learn something in the process. Don’t make the same mistakes yourself. With so many free videos available online, many people don’t bother to buy safety training videos. But if you are a professional safety trainer, you will need to stock up on the latest videos to make your training classes more effective. Reading about proper procedures is not nearly as effective as seeing it played out on screen. Some safety training videos are downright gruesome. These will have a lasting effect on viewers. Reading how someone was hurt or killed is sad, but seeing the aftereffects in full color will stay in your mind for a very long time. Safety videos clips about how to use a tool properly is also much more effective than just reading the safety procedures that came with the tool. When you can see and learn exactly how the tool should be held and used, you will be able to work faster and safer. Even a simple tool like a screwdriver can cause serious injury when not used properly. A hammer, on the other hand, can cause an injury even when it is used properly. How often have you missed the head of the nail and smashed your finger? That is a very common occurrence. Just about every person who has ever used a hammer has hit his finger at least once. Most of the time these injuries are not very serious. But, a little more care in what you are doing can prevent this from happening. After an accident occurs you may have a million ideas of how this accident could have been prevented. That’s fine, but thinking about prevention ahead of time is better. Many safety experts have come to the same conclusion. That is why they have worked hard to put together safety video clips to show you how to prevent an incident before it turns into an accident. They have studied the end effects of accidents and exactly how the accident happened in the first place. In most cases, they have come to the conclusion that the accident could have easily been prevented. One wrong move here or careless action there was the cause. Watching these prevention videos should be the first item on your list when you become an electrician apprentice. The classroom portion of your training may include several of these preventative videos. If it doesn’t, you may want to bring up the subject with your instructor. As you may have seen in the funny safety videos, most accidents are caused by carelessness or stupidity. Always being alert and aware of potential dangers is the best way to stay safe and healthy. Most safety videos clips are less than five minutes long. Take a few minutes now and save yourself a whole lot of pain and agony later.